Whether you want to be able to control your lights from your smartphone halfway across the planet or you just want your landscape lights to turn on 30 minutes before sunset and turn off 30 minutes after sunrise, we can make that happen. With Lutron smart lighting installed by our expert crew, the possibilities are endless. 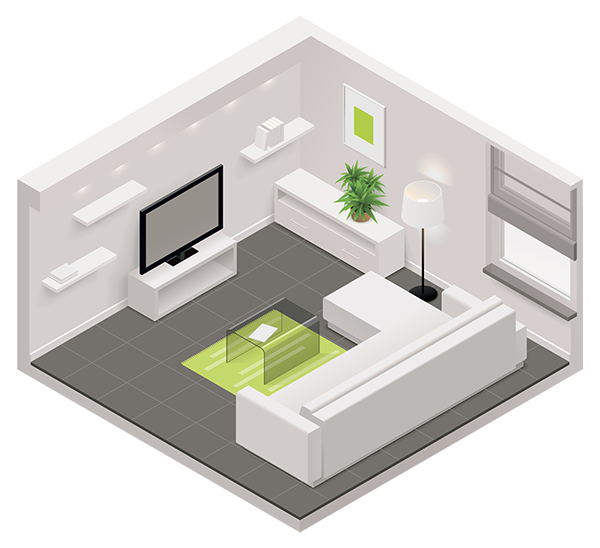 Because every home is unique, at Harmonic Series we build your smart home system to be perfect just for you. If you already have a lighting designer or need one, we will gladly work with your lighting designer or suggest one to help bring your landscape to light. Whether you have ten or a hundred lighting loads in your home, with Lutron we can help you create scenes that make your home even more beautiful. Entertaining? Press the “Entertain” button. Bedtime? Hit “Goodnight”. You can also control every light in the system from your phone or tablet from anywhere in the world. 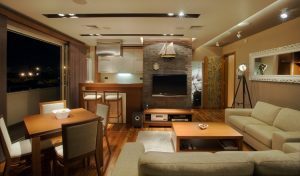 If you have special rooms like a bar, home office, library, or home theater, we can build a smart lighting solution that will create the perfect ambiance for every room. We have solutions for both new construction and existing homes in Wyoming and Northern Colorado. A brief walkthrough of your home or meeting with your builder is all Harmonic Series needs to get started. Contact us today to learn more about our audio-visual, lighting, and smart home systems.